In its 44th year, the Chevron City to Surf for Activ, WA’s most inclusive fun run attracted more than sunshine on Sunday bringing over 20,000 runners, walkers and rollers to the finish by whatever means possible. The courses, known for their character-building hills, offered 4km, 12km, 21km and 42km options to suit everyone. With disability impacting around 1 in 5 Australians, it was truly a day to celebrate the work Activ achieves in the Western Australian community and to see the possibilities this event creates for participation. In another very real testament to success, youngest Activ All Star Mia Rodriguez (4) together with her pink army, crossed the 4km finish line independently and with a huge grin, completing the grand finale, and her fifth leg of the series. As a wave of community energy powered towards the surf, the morning was charged with personal bests, personal motivations and was not without its inspirations. In the 4km course, Melany Smart (17) delivered a new women’s record of 12 minutes 49 seconds, while Luke Graves led the men to win in 11 minutes and 7 seconds. “It was an amazing morning with so many people getting out there for a great cause. The course was wonderful, I couldn’t have asked for better conditions,” commented Melany on her win. The 12km track didn’t disappoint with many familiar faces, and a surge of fresh contenders. Matthew Ramsden, brought in the male finishers more than a minute ahead of the bunch to break a record in 35 minutes, 20 seconds. Closely following was Ben Chamberlain in second (36:49) and Dean Menzies in third (37:31). Twenty-two-year-old Emily Witham was the first female 12km finisher in a time of 42 minutes, 17 seconds. Since placing outside of the top three in 2017, the medical student has trained with Front Runner’s Ben Green covering more than 110 kilometres per week in the lead up. “I’ve always been a runner and was lucky enough to train with David Eltringham while growing up in Esperance. Running is my outlet and fits well with studying medicine because I understand the benefits to my body. This morning I knew I was coming second to one of my idols, Eloise Wellings, and when I passed her it felt amazing, giving me a bigger push up the final hill from the top of Underwood Avenue to the end,” explained Emily. Second and third women’s 12km place getters included Bernadette Williams (43:22) and Clarissa Herbst (43:48). Not able to go unnoticed after a challenging week in Canberra, The Hon. Julie Bishop took to the 12km track to put community first and, in a display of her unwavering commitment and strength, set a personal best and finishing in just over one hour. Celebrating a decade of marathons, the male 42km winners were not new to the course, with serial Sydney runner Ashley Miles setting a new personal best of 2:29:18, and Japanese runner Yoshiyuki Ono just 10 minutes behind in 2:39:23. Jacqueline Kellerman, South African female marathon winner was a new 42km field competitor excelling in her first ever marathon in 3:02:48. While she didn’t break her desired three-hour barrier, she was stoked with her first attempt. Second place went to Ann Brinkamp (3:16:36) and third place to Anna O’Byrne (3:22:32). In the women’s half marathon, Chevron City to Surf for Activ influencer Rochelle Rodgers won her third consecutive and fourth half-marathon title in a personal best by more than a minute in 1 hour, 17 minutes and 30 seconds. Not far behind were Sarah Greenwood (1:24:13) and Joanne Mills (1:26:19). Another record was set in the men’s half marathon with Kenyan Isaac Biriri and good friend William Chebon Chebor, both smashing the previous long-standing record of 1:05:40 set in 2005 by Gemechu Woyecha, in 01:05:00 and 01:05:13 respectively.  In its ninth year as a major partner, the Perth City to Surf for Activ is Chevron Australia’s largest workforce event.